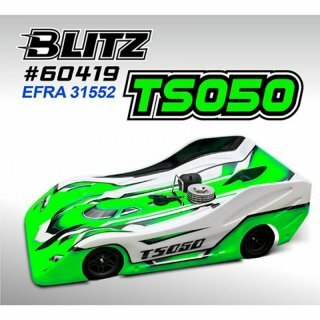 The long awaiting latest BLITZ 1/8th On-Road racing body TS050 is ready now. The TS050 has been testing since last year in many races and a lot of track time. The TS050 was designed to give more steering and overall stability. It was also designed to fit both 1/8 Nitro and Electric chassis. With the special design 6pcs body stiffeners and installation locations. 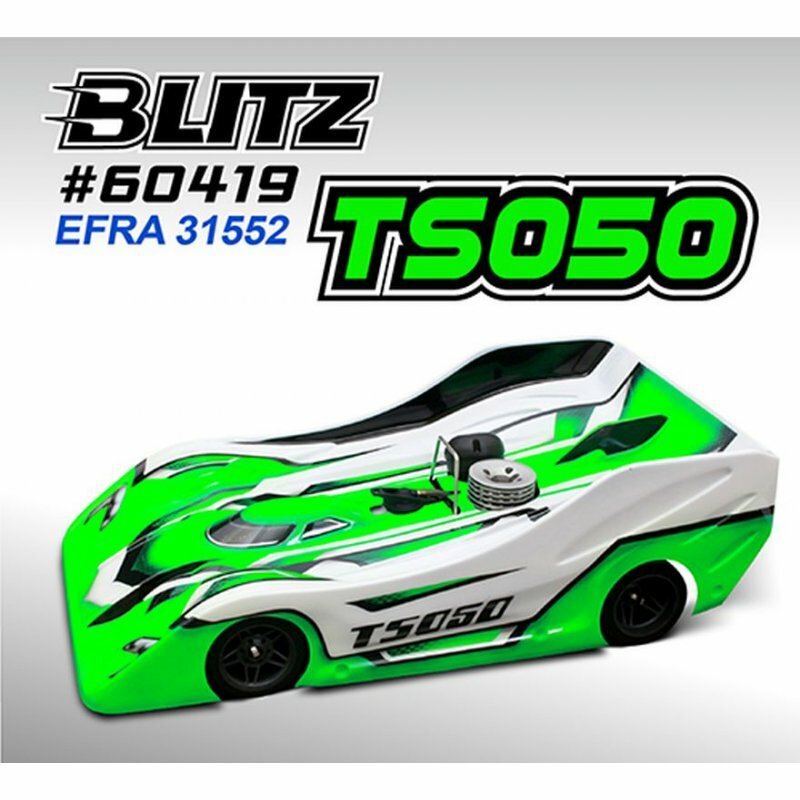 It provides this TS050 a very durable and consistent body dimension and performance. The TS050 was built from high quality clear polycarbonate. The standard version TS050 is 0.8mm. The light version is 0.7mm. It includes window mask and the body stiffeners. It is EFRA homologated with EFRA 31552 .